One of the Wilson Estate Vineyards, Warm Springs Ranch is located on the western edge of the valley at 1400 to 1600 feet. This vineyard represents the extremes of the Dry Creek Valley appellation—rugged mountainous terrain on the western edge of the valley. The soil is composed mainly of volcanic clay—Laniger loam with well-drained topsoil 18 to 24 inches deep above weathered rhyolite and rhyolitic tuff (rock composed of small volcanic fragments compacted together). 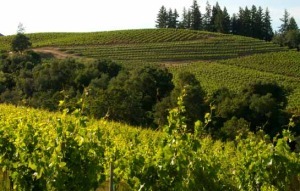 This mountainous terroir, similar to the neighboring Rockpile appellation minus the lake influence, produces intense fruit that translates into concentrated, richly textured and flavored white and red wines.